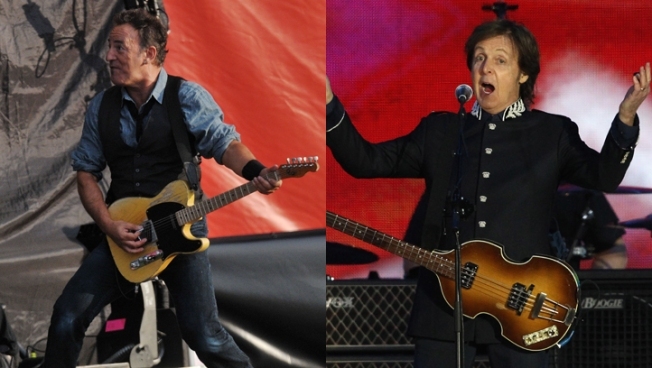 After playing for more than three hours, Bruce Springsteen and Sir Paul McCartney had their microphones shut off at the Hard Rock Calling Festival in London's Hyde Park. Rock stars Bruce Springsteen and Sir Paul McCartney had their microphones shut off after over-running at a concert in London’s Hyde Park on Saturday night, the BBC reported. Springsteen, who was the show’s headliner, brought McCartney onstage for an encore, but the plug was pulled on them before they could thank the crowd. Having played for more than three hours, Springsteen had exceeded the limit for the Hard Rock Calling event. Guitarist Steven Van Zandt, a member of Springsteen's E Street Band, was angered by the forced curtailment, the BBC reported. "When did England become a police state?" he tweeted. According to Westminster Council, the decision to end the concert came from organizers, not local authorities. "Concert organizers, not the council, ended last night's concert in Hyde Park to comply with their license," Leith Penny, Westminster Council's strategic director for city management, told the BBC.